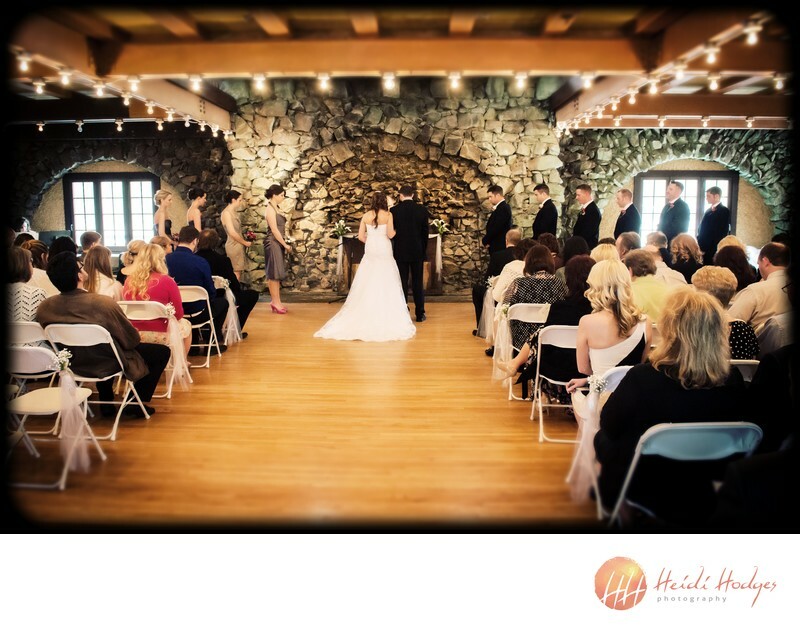 Saying "I Do" in the Rothschild Pavillion, which once hosted early rock and roll star Buddy Holly. Location: Rothschild Pavillion, Rothschild, Wisconsin. Keywords: Bride (42), Buddy Holly (3), groom (39), Rothschild (3), wedding (54), Wisconsin (39).